Meeting a friend after work in the heart of London, we headed to Soho for a cooking Masterclass that would introduce me to a whole new style of cooking – Peruvian Ceviché. Just around the corner from Piccadilly Circus was our destination, Martin Morales’ Casita Andina. A cosy rustic Central American style gluten-free restaurant with plenty of seating over and an outdoor garden on the first floor near where we were settling in for the class. The table in front was filled with colourful and vibrant ingredients which we sat around it as if making an offering to the gods! The experience was enjoyable and insightful – learning a bit about each ingredient and the processes that were involved. My taste buds were very happy! 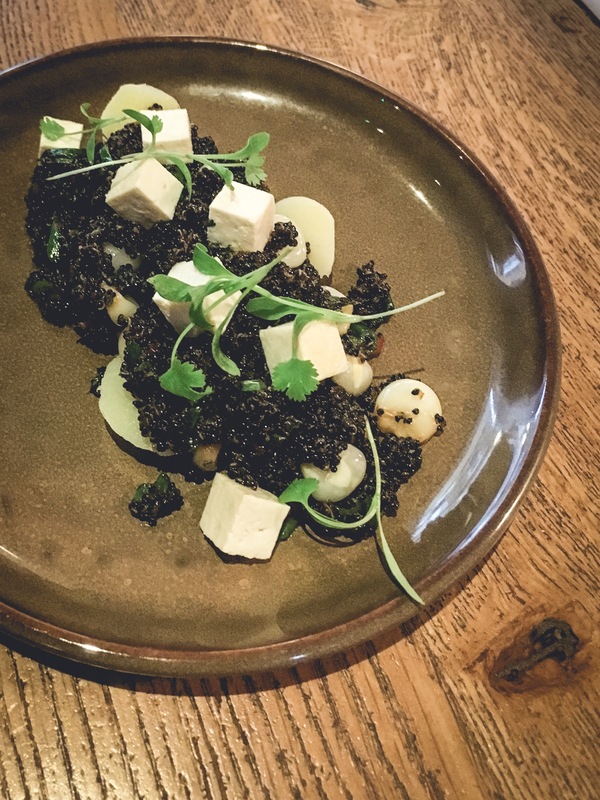 My taste was very happy and buzzing with the flavours that Chef Vito Reyes was delivering – great for busy people who can really save themselves a great deal of time whilst ensuring they are getting a healthy meal. In a pod cooked the potatoes with salt, pepper, garlic cloves and bay leafs. Cook until are al dente. Let it cool and peel. In a pan with some oil sauteé the garlic and onions until are soft and without colour. Add the paste and keep cooking for 3 minutes, add a pinch of salt and remove from fire. Once cold place in the blender the onion mix evaporated milk and feta cheese, blitz everything until is well mixed. Add the digestive biscuits and let the sauce thicken, add an extra biscuit if is necessary. Season with salt and let it chill. Cut the potatoes as you like, serve in a plate a cover with the sauce. Garnish with the hard boiled egg, olives and chillies. In a hot pan with a bit of oil, add the garlic-ginger paste and the chilli. Add the quinoa and sauté everything together until the quinoa gets a crunchy texture. Add the kernel corns, spring onions, and coriander and keep sauté. Add the soya-sesame liquid, remove from the fire and serve. Blend everything together until we obtain a paste. Remove the silky tofu from the fridge. Let it get room temperature. Place on top of the quinoa chaufa as soon the chaufa it’s ready. Enjoy cooking or pay them a visit.